Bani camping have a huge parking lot for camping vans and of course regular cars. We offer a huge grass field were you can hit up your tents and start your experience with us at Bani camping. Being a member at Bani camping has lots of features, such as free food, and daily activities. Our membership has a starting fee of 900$ a month where food is included. Camping out daily will cost you 40$ daily for camping vans, 25$ for a parking spot, 15$ for a tent spot. We hire out tents for a price of 15$ a day, and we also have apartments that you can reserve for 80$ daily which includes water, furnitures, and Wifi. Here in Bani camping is it possible to do lots of things. We have a place that we call “fun park” where we have a huge trampoline, and lots of climbing frames in the woods for the children. There is also a large obstacle course at the fun park. 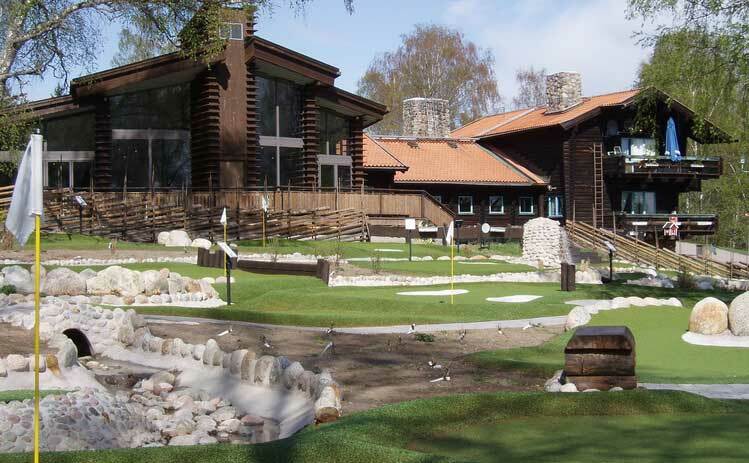 We also have a miniature golf course that is active 9:AM-9:PM. We also have one of the biggest beaches in the country where we have lots of activities such as volleyball, and water-skiing. At Bani camping we have lots of events, and specially during holidays such as last year during easter, was there a huge easter hunt that took place in the woods, and was for all children and teenagers between the age of 6 and 18. At Bani camping is food one of our biggest priorities. We have lots of variety when it comes to food. There is a restaurant at the lobby area where you can choose food from small potatoes planted by us workers to fish that is caught fresh out of the sea to beef slaughtered at our barn with freshly prepared vegetables that is gathered from our garden. 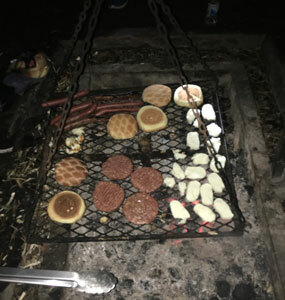 At the camping, we serve breakfast, lunch, dinner, and on the weekends we have a buffet during dinner time where fifteen different meals are served. 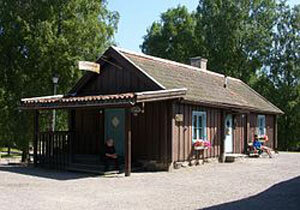 The buffet is free if you are a member of the Bani camping site, and there is a 35$ fee per person if you are planning on visiting the place without being a member. 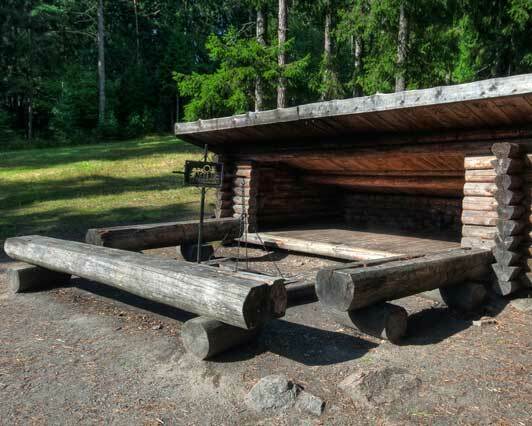 Bani camping also has lots of fireplaces where you can prepare your own food if you prefer so. We serve breakfast, lunch, dinner, and on the weekends we have a buffet during dinner time where we serve around 15 different meals. The buffet is free if you’re a member to the Bani camping site, and its a 35$ fee per person if you're planning on visiting the place without being a member. Bani camping also has lots of fireplaces where you can cook up your own food if you prefer so. Reserving at Bani camping is a piece of cake. Just call this line # 972-571-0214 and booking the trip will just take a couple of minutes. We have lots of space so getting a place to stay won't be hard. 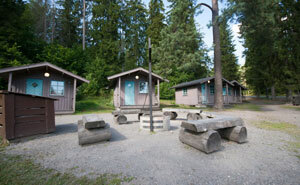 We reserve camping equipment and you can even book apartments that we rent out. You can also reserve at our camping reception. You will have lots of features when booking at Bani camping as a member. You will have the privilege to the VIP queue, where only members can go in line. You will also have special deals, such as better prices, and upgrades on apartments. Bani camping started throughout a couple of friends who wanted to start some kind of business, and we were all into nature so we decided that a camping was the way to go. At the beginning were we four people who started out but right now is there only two left, that is, the owner, Jonathan Lidström, and the co-owner, Gunnel Winnberg. We at Bani camping have a lovely relationship with all of our customers, we make sure everyone has a nice time, and that everyone is respectful both to the society and to nature.